A Windsor, Ont., school bus company has committed to installing mechanical "child check" alarm systems on all of its vehicles after a four-year-old girl was left in a parked bus for three hours Monday night. Ellery Chartier-Molinari fell asleep while riding home from school and missed the stop at her daycare, according to her mother JoAnne Chartier. When the kindergartner woke up, she found herself alone inside a locked yard, while her family launched a frantic search to find her. The bus driver was fired for failing to follow the company's policy that requires employees check the bus before leaving for the night. 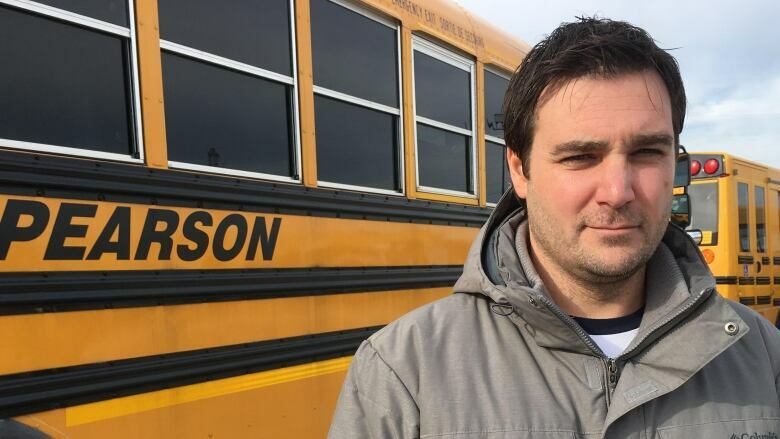 "All of us are really, truly sorry for the incident that happened and we will do everything in our power to make sure this never happens again," said Ryan Pearson from CG Pearson Bus Lines Ltd.
One way the company plans to ensure another child isn't left behind is by installing an alarm that can only be disabled by pressing a button at the back of a bus. "Mechanically installed systems require the driver to walk to the back of the bus at the end of their shift to press a button — otherwise the horns and lights will sound," explained Alex Bugeya, safety and legislation consultant with the Ontario School Bus Association. Transport Canada sets safety equipment standards for buses across the country and federal standards do not require any sort of system for ensuring all children have got off a bus, according to a statement from Ontario's Ministry of Transportation sent to CBC News. "Although 'child check' type systems that require a bus driver to walk to the rear of the bus before exiting the bus are in common use, there is no federal or provincial regulatory requirement for such a system," the statement read. That means the different ways companies ensure student safety on buses is left up to individual transportation consortiums and school boards. 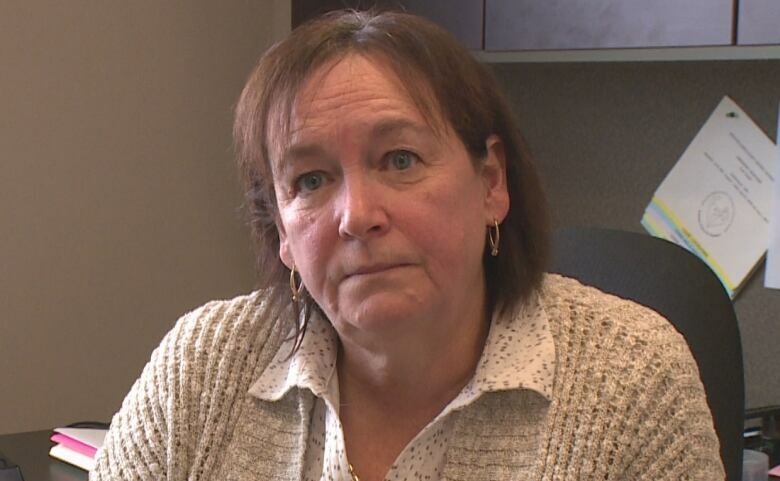 General manager of Windsor-Essex Student Transportation Gabrielle McMillan said all bus drivers in Windsor and Essex County are required to use a "bus empty system" — whether mechanical or manual. The two systems usually include the button system Pearson has promised to install or the use of "flags" and "signs" at the back of a bus, which require a driver to walk to the back and "flip" them at the end of every run. Chartier-Molinari's bus had a manual system, meaning the driver did not "flip" the sign at the back of the bus. "What happened the other day was an anomaly that hasn't happened in a long time," she said, adding she's only aware of one other child being forgotten on a bus in the eight years since she started her job. Each company is responsible for two annual training sessions that cover everything from defensive driving to searching vehicles for any students who may have missed their stop. 'It's critical because you don't want to leave a child on the bus, particularly when you're parking a bus for the evening with a child on it. That shouldn't happen." Bugeya said he's in favour of student safety and is open to considering making mechanical bus-check systems mandatory, but the systems currently in place work "as a general rule." "There are approximately 300-million school bus rides that are completed safely in a given year," he said. For her part, McMillan is open to anything that will help combat the possibility of "human error" when it comes to school buses and forgotten students. "I don't think it would hurt for them to be mandatory," she said. "Any kind of safety device you could put on a bus to help reduce the margin of error for a child to be left … is always in the best interest of safety." She maintains every driver is passionate about their work and wants to end every shift by getting their passengers home safely. "It's a very difficult job to be a bus driver. Not only do you deal with the road issues and the driving issue, but you're dealing with children who can be loud and noisy," she said. "The people who do it do it because they like children and they really care about what they doing."